CHEMICAL FIRM TAPS HAMILTON TO LUG HEAVY MOLDS. XT2241 | With a load capacity of 30 tons, our custom four-wheel steer trailer makes massive molds a breeze to move for this major chemical manufacturer. THE U.S. AIR FORCE DRAFTS HAMILTON FOR NATIONAL DEFENSE. 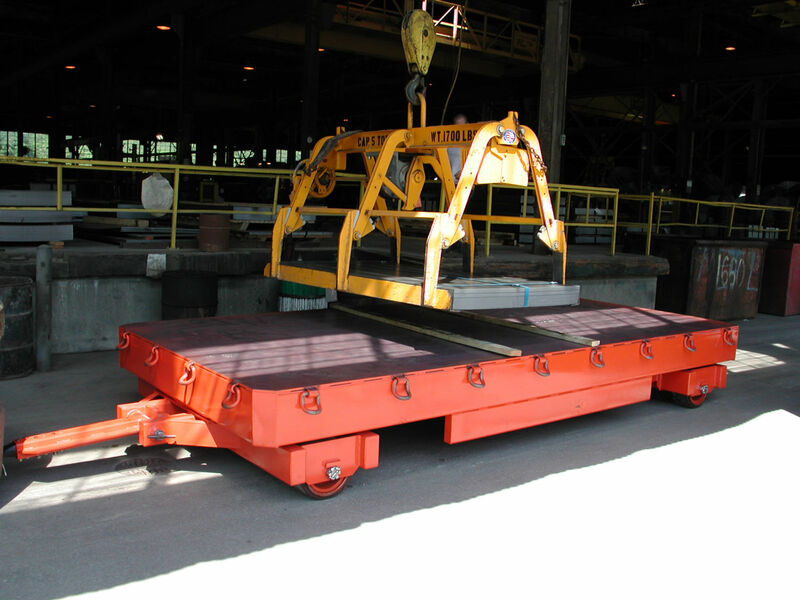 XT2448 | Eight dual-mounted 22” x 10” press-on polyurethane wheels support this 70,000 lbs. fifth wheel steer trailer used by a tier 1 auto supplier to transport heavy dies. FOUR-WHEEL AUTO STEER TRAILER HELPS MOVE THE EARTH. 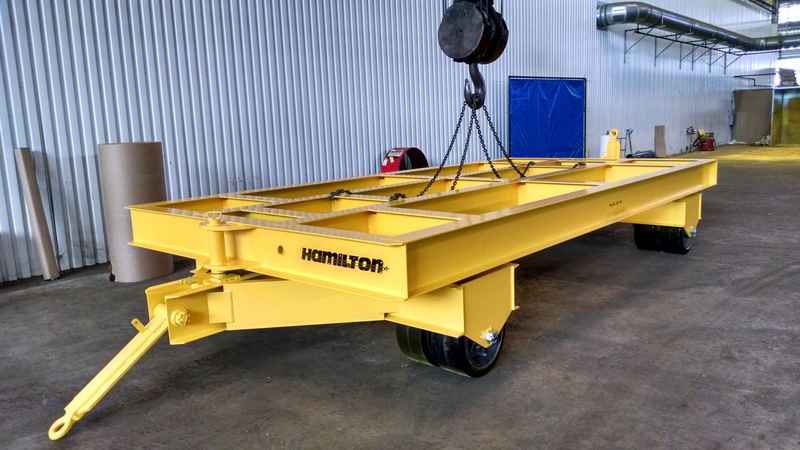 XT2466 | Instead of using multiple trailers to move earth-moving parts, the manufacturer now uses one Hamilton trailer to haul it all.  MINING COMPANY STRIKES GOLD WITH HAMILTON TRAILER. 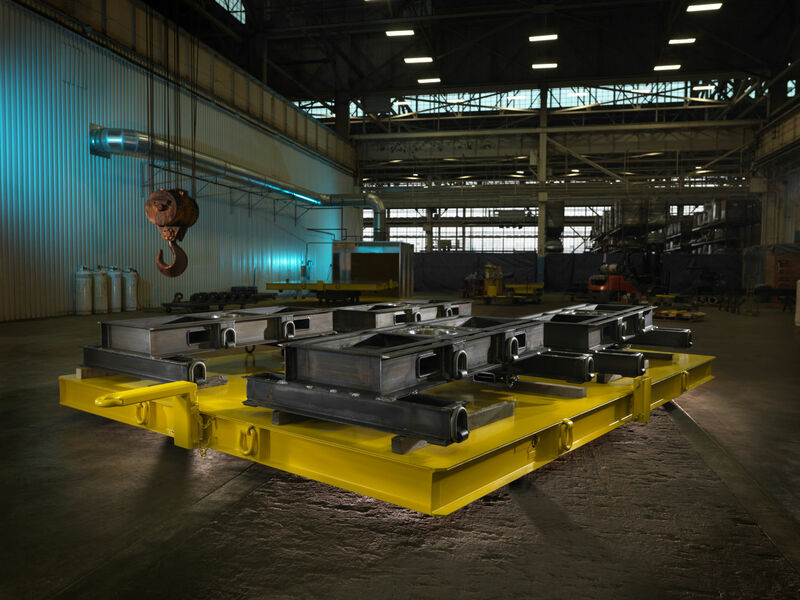 XT2238 | Our custom fifth-wheel steer trailer hauls enormous vibrating screen machines that sift through thousands of pounds of sediment to find gold, copper and other precious minerals. PAPER INDUSTRY INKS HAMILTON TO HAUL 40-TON ROLLS. XT2272 | To carry 33-foot-long paper rolls that weigh nearly 80,000 lbs., we built one of our longest trucks ever for this major global supplier. HAMILTON ELECTRIFIES GLOBAL ENERGY FIRM WITH ULTRA RESILIENT TRUCK. XT2291 | This custom trailer withstands smoldering temperatures and crushing pressures to haul 30-ton control valves at a global energy firm's power station. 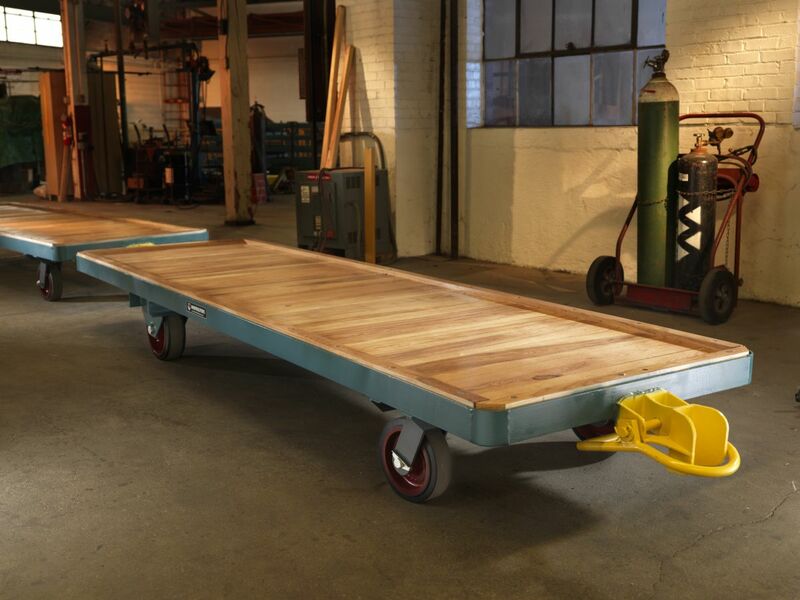 OIL JUGGERNAUT GOES LEAN WITH CUSTOM TRAILERS. XT2378 | This global driller uses custom Hamilton trailers to transport manifolds that allow oil to flow smoothly from wells into tanks. Riding on our trucks, the company improves efficiency by easily moving 10,000-lb. 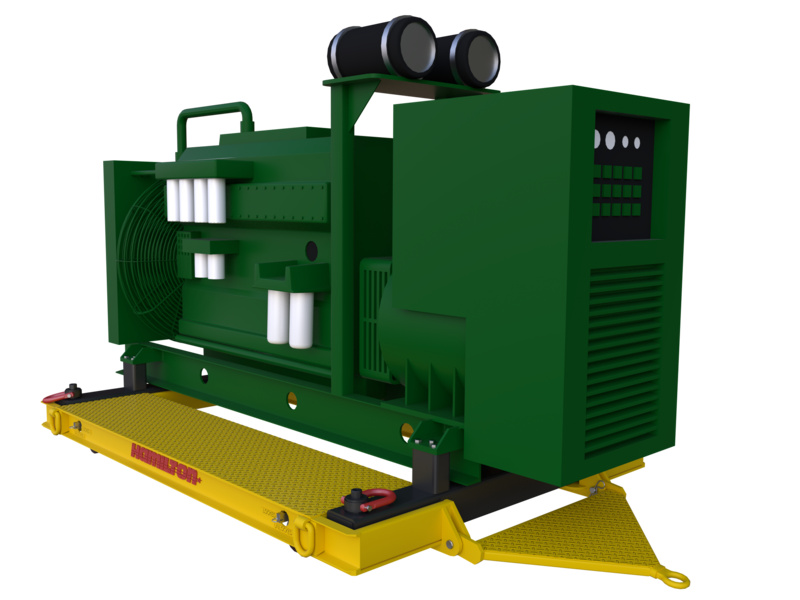 equipment with minimal downtime. XT1199 | Calling it huge would be an injustice. 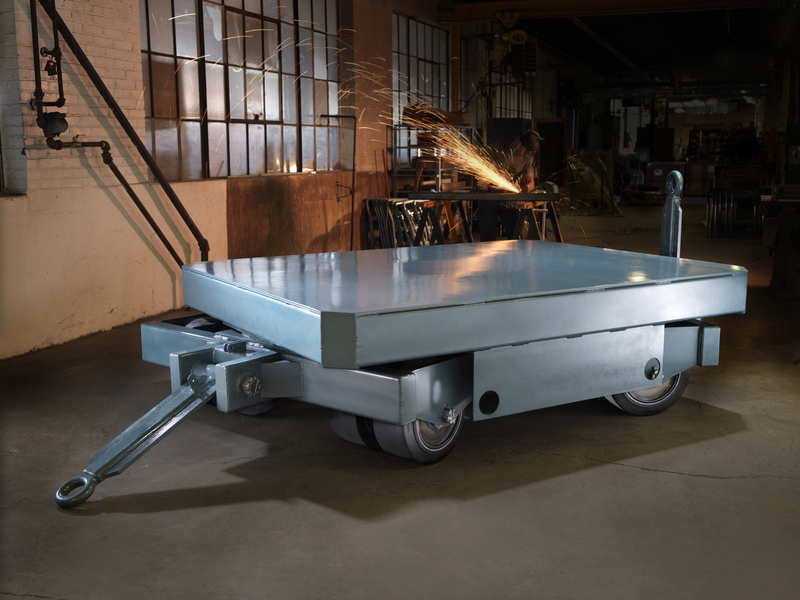 At 8 feet wide by 16 feet long and weighing 5 tons, the Behemoth trailer hauls 60,000 lbs. of classified military parts. What's more, despite its size, it's versatile, too. With fifth wheels at each end connected to a structural tie rod, it easily navigates through tight spaces. XT2354 | It took 68 uniquely designed trailers to haul diesel turbocharger housings for this major engine manufacturer. 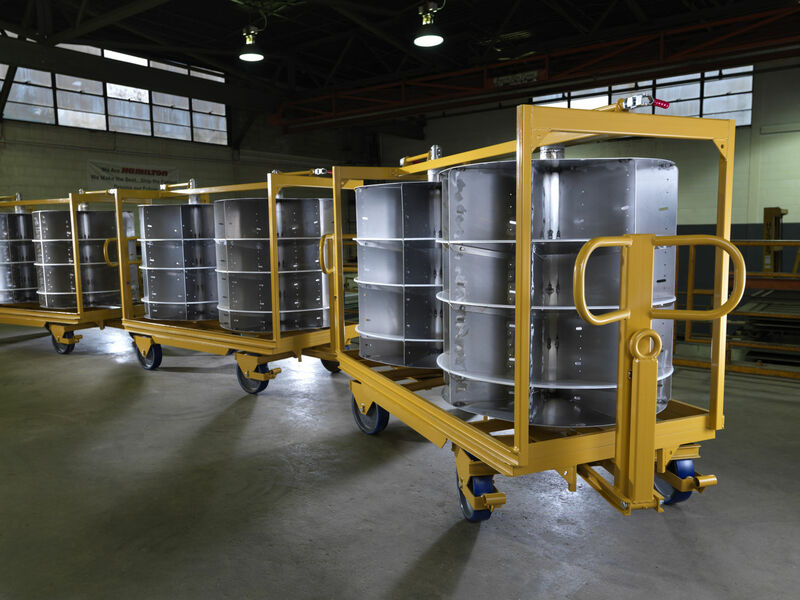 Each features two carousels that lock in place during transport and rotate to keep loads easily accessible. 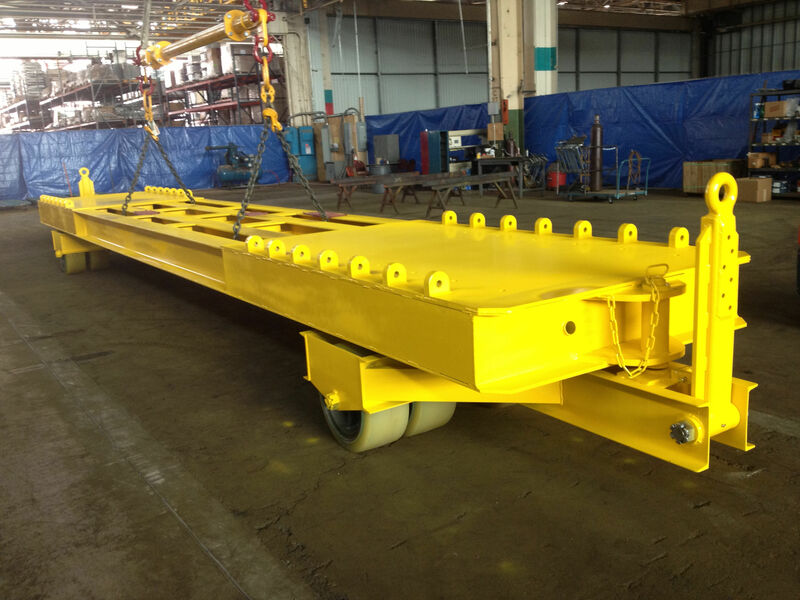 A single trailer holds 48 parts and about an hour of production needs on the assembly line. 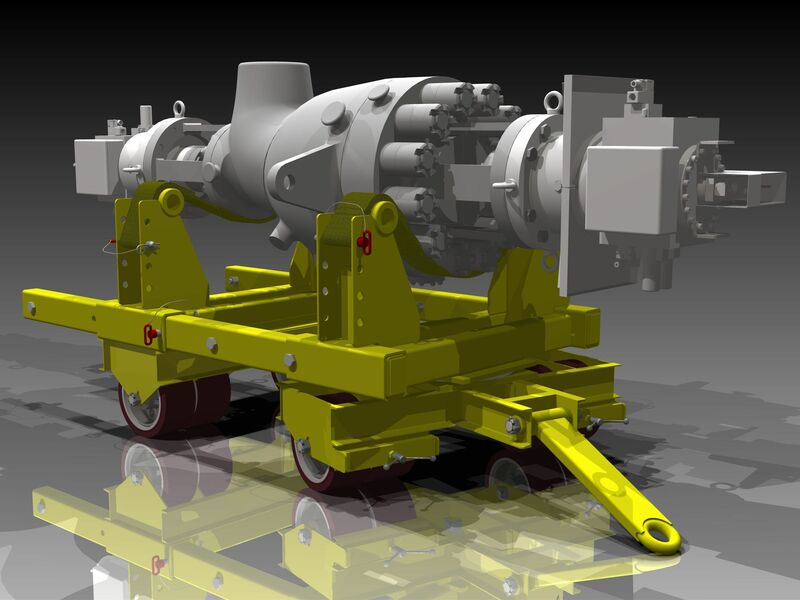 FIFTH WHEEL TRAILER HAULS 40 TON CABLE-SPOOLING DRUMS. 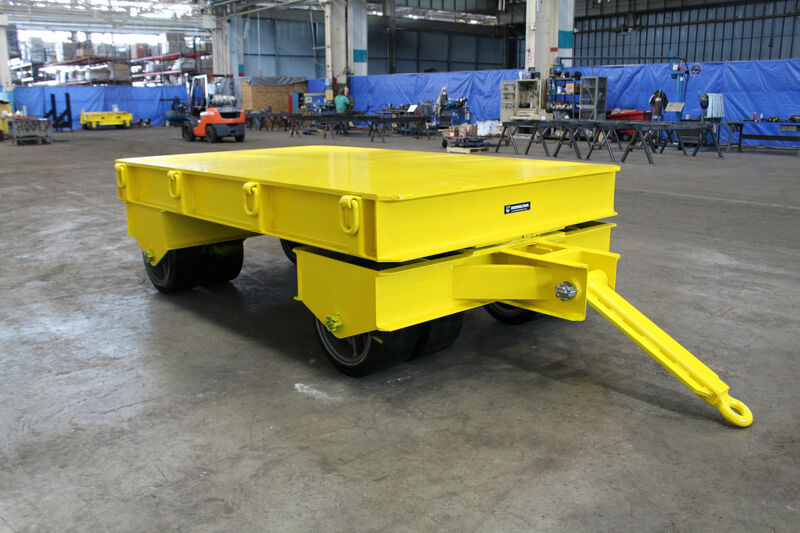 XT2564 | This open frame fifth wheel steer trailer is towable from both ends and transports large cable spooling drums for the oil & gas industry. 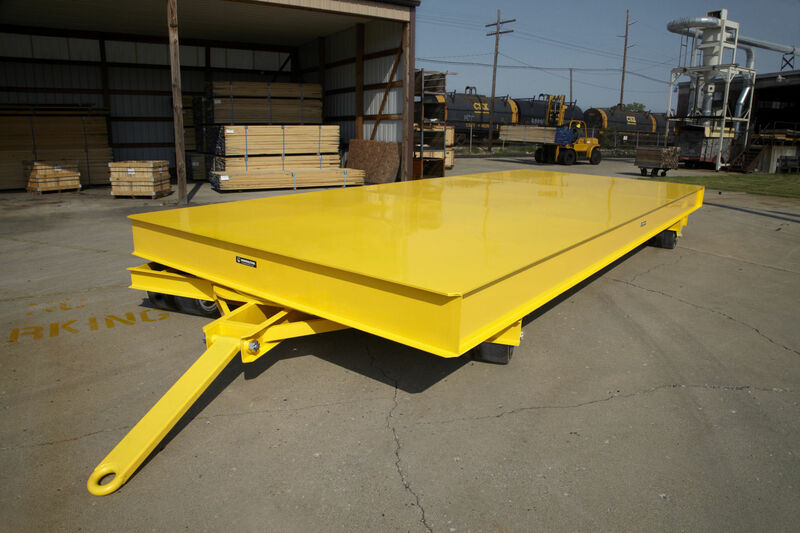 LOW-RIDING TRAILER GIVES OIL GIANT A LIFT IN SAFETY. XT2349 | Ergonomic design helped manufacturer lower injury risk by minimizing use of lifts and overhead cranes. Want to see more? View our Customer Archive Gallery.